Rock & Metal 4 You: CD-Review: Edguy - "Space Police: Defenders Of The Crown"
CD-Review: Edguy - "Space Police: Defenders Of The Crown"
Here it is - "the best and heaviest Edguy album ever" and by the way "the best Heavy Metal album of all time". 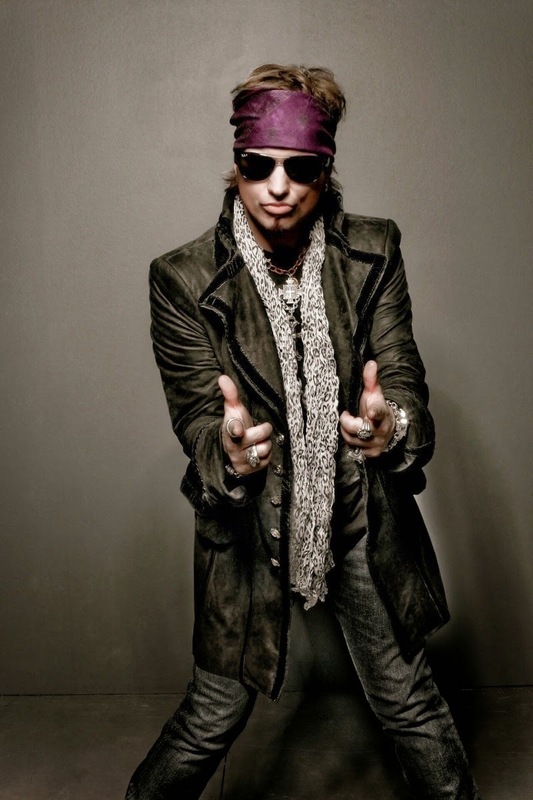 At least it was announced like that by mastermind Tobias Sammet. 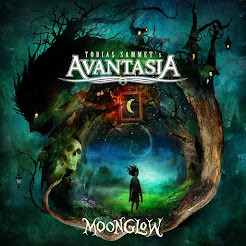 It is well known that Tobi is a little megalomaniac and you shouldn't take everything too serious, but last year he said his new Avantasia record would be the best one and he was damn right. It was my album of the year. So if Mr. Sammet says "here is the best Edguy album ever" expectations are high and what you can read in the press sounds also very promising. So, can this new record do justice to its big hype? I can already hear the fans saying "Why is he talking about Avantasia. Avantasia and Edguy are completely different." 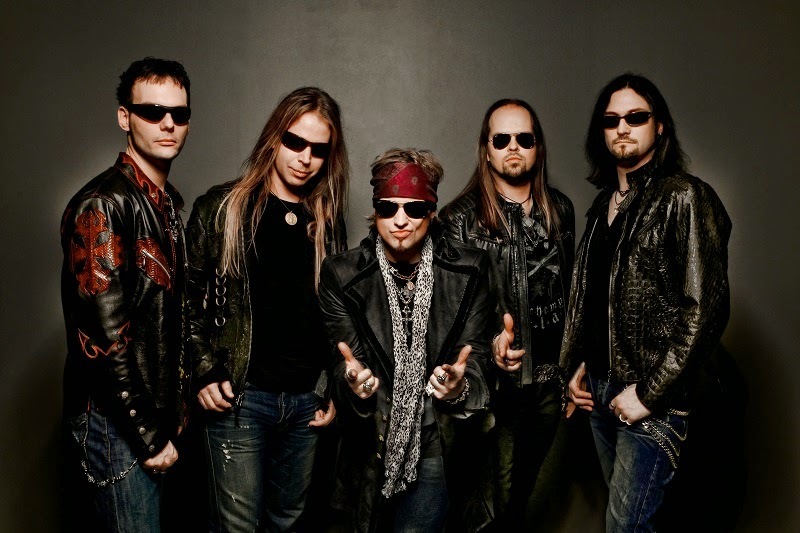 For sure, but especially since "Age of The Joker" you find some Avantasia elements in Edguy's songs as well and same goes to "Space Police: Defenders Of The Crown". When it comes to the Heavy Metal aspect ... yes, Edguy is more Heavy Metal and some songs on the new record are more heavy than on the previous record - but it isn't the heaviest Edguy album of all time ... and sadly also not the best. To be honest, I can't understand the euphoria about "Space Police". It is a solid, good record - that's fact, but you've heard many melodies and elements on "Space Police" on previous records - just better. But let's check the album step-by-step. "Space Police" starts with a true Heavy Metal anthem called "Sabre & Torch" and what can I say? The riffing at the beginning of the song sounds a lot like the riff of "Invoke The Machine" from the latest Avantasia output. But the song is fun and will work on stage pretty well with its cool sing-along chorus. Next in line is the first title-track "Space Police", which features some strange synthie effects, while the songwriting itself reminds me again at the Sammet allstar project, especially in the chorus. Another solid one, but what I didn't like is the whimper of Tobi to the end of the song. What the hell? So all solid stuff so far, but nothing mindblowing to my ears. That changes with the following two tracks. "Defenders Of The Crown" features an amazing melody in the bridge and the chorus breaths the spirit of old Edguy classics from the "Theater Of Salvation" era. A really big and epic song. This is the kind of songwriting I want to hear from Tobi Sammet. Same goes to the amazing party anthem "Love Tyger". Yeah, it isn't Heavy Metal but it's a fun Hard Rock tune with a huge chorus, which is catchy as hell. This one could easily stand beside "Lavatory Love Machine". After those two great songs "The Realms Of Baba Yaga" (what a stupid title, seems like Tobi has watched too many Russian fairytales on television) can't convince me that much. It's again such a leftover of Avantasia. The chorus starts huge, but goes in a different direction then. To me this song hasn't such a good flow. Now we reach the absolutely lowpoint of this album: the Falco cover "Rock Me Amadeus". In Europe this song is a pop-classic, but I don't like Falco and I never liked this song. I was shocked when I saw this title in the tracklist. I hoped that Edguy would just take the chorus and mix it up with own ideas, but this isn't the case. Instead of it Tobi imitates Falco and that sounds terrible. This is the worst song I've heard from Edguy so far and I can't understand why it ended up on the record, because it didn't fit to the rest of the songs. As a bonustrack on a single it would have been ok, but not on the final album release. Sorry guys, but that is a horrible fail. After that shock "Do Me Like A Caveman" makes a much better figure, although this song has also lots of pop-appeal in it and the melody is a bit trivial. With "Shadow Eaters" Edguy are back on track - this is another typical Edguy song and every fan will love it - great riffing, nice bridge, some change of pace ... very good. The next gem follows: the beautiful power-ballad "Alone In Myself" is a cross between older Bon Jovi stuff (verse) and Avantasia (chorus). There are a few moments where you'll think of Bob Catley singing this. The metalheads will hate this song (like every ballad), but to me it's one of the best in Edguy's discography. The epic long-track "The Eternal Wayfarer" closes the album and is another very solid track. It's in the same vein as "Behind The Gates Of Midnight World" from "Age Of The Joker". I liked this one a bit more than "The Eternal Wayfarer" but the latter features an amazing guitar-duel by Jens Ludwig and Dirk Sauer. I think I don't need to say so much about the musicianship on this album. All bandmembers are in fantastic shape and everyone has moments on this album where he can shine. The band is tight as ever and Tobi Sammet is also in top form. Productionwise it's a bit too polished this time. Some more edges and a more raw production would have fit better to the songs. Finally I can say "Space Police" was a difficult one for me. I needed some time with the record till some songs grabbed my attention. So let's check what we got here: five solid, well written songs; four gems, one total fail, tight musicianship and solid production - that makes a "good" record to me, which means "Space Police: Defenders Of The Crown" gets an eight out of ten rating, but all-in-all it is behind expectations to me. It is not the big revelation in Heavy Metal and I don't know why the magazines see it that way. Good stuff from Edguy (Tobias Sammet is not able to write bad songs), but not their best work to date!